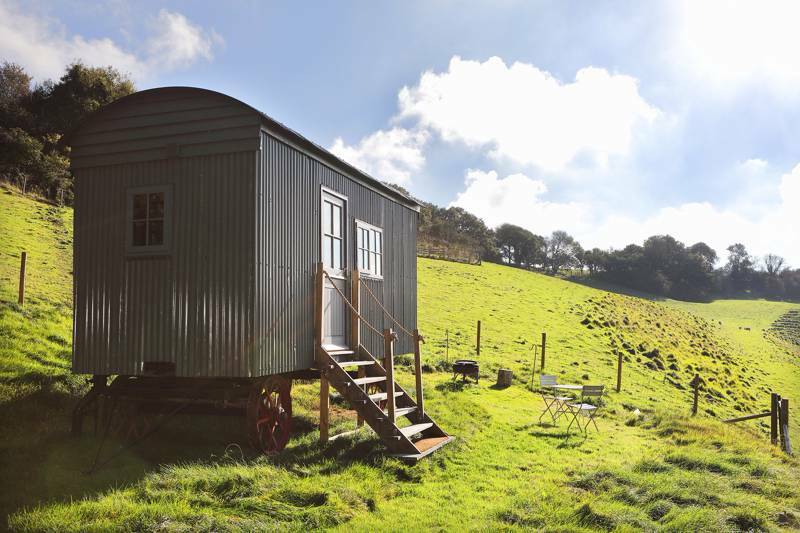 Kent’s nickname, The Garden of England, should give you a clue as to why we think you might like glamping in Kent. This south-east county is a patchwork of farmland and earned its moniker for the abundance of crops that thrive in its (relatively) sunny climes. It’s a green county where you can still get lost in country lanes and discover cute-as-a-button chocolate box villages with old-fashioned pubs. But it is also a county with rather a lot of coastline from the famous white cliffs of Dover to the sands at up-and-coming Margate. And yet all this coast and countryside is within easy reach of London so it’s a great destination for people looking to escape the city on a weekend glamping getaway. Luxury 5m bell tent furnished and equipped for everything you need for your stay including all your linen, cooking utensils, a proper bed with woollen blankets, fire pit and a private barbecue. The tents are all on a raised deck to keep you from the mud in the winter. 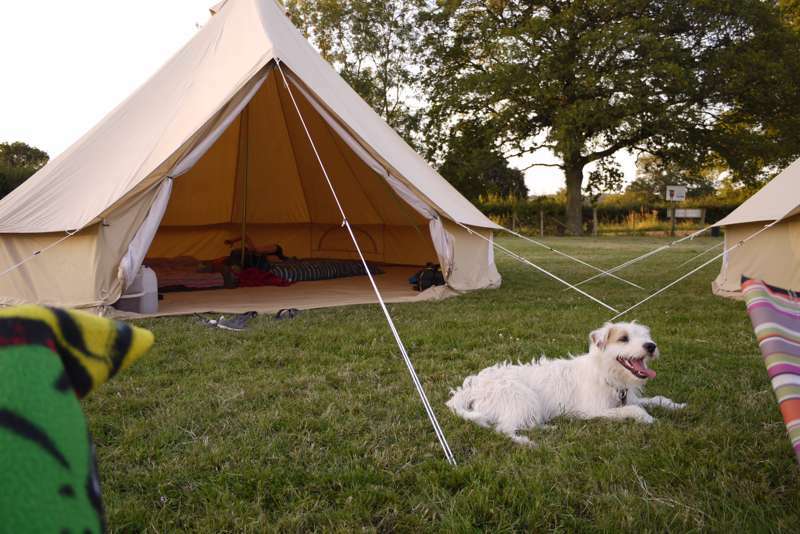 5m bell tent furnished only with coir matting, double futon mattress, porch and private fire pit. 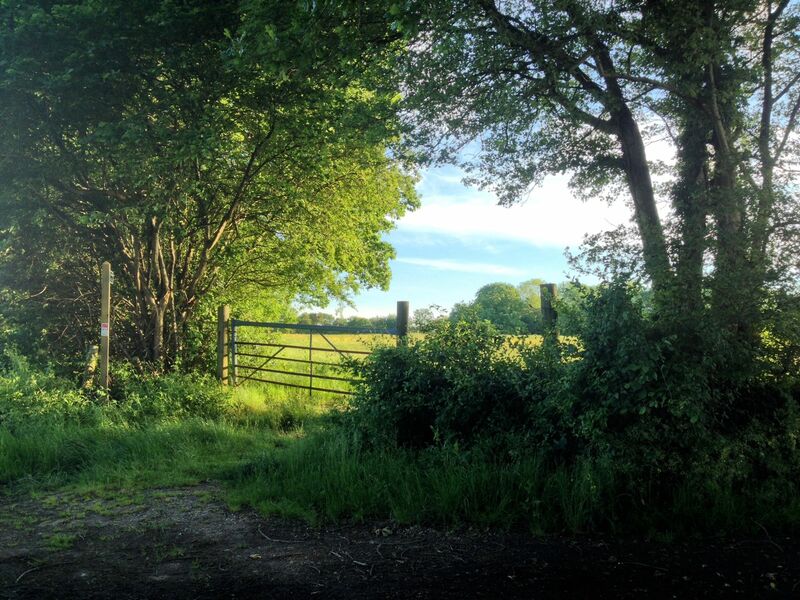 The best bits of camping - campfires, birdsong, and breathtaking scenery, with clean, dry, inspirational space, proper beds and a private toilet. 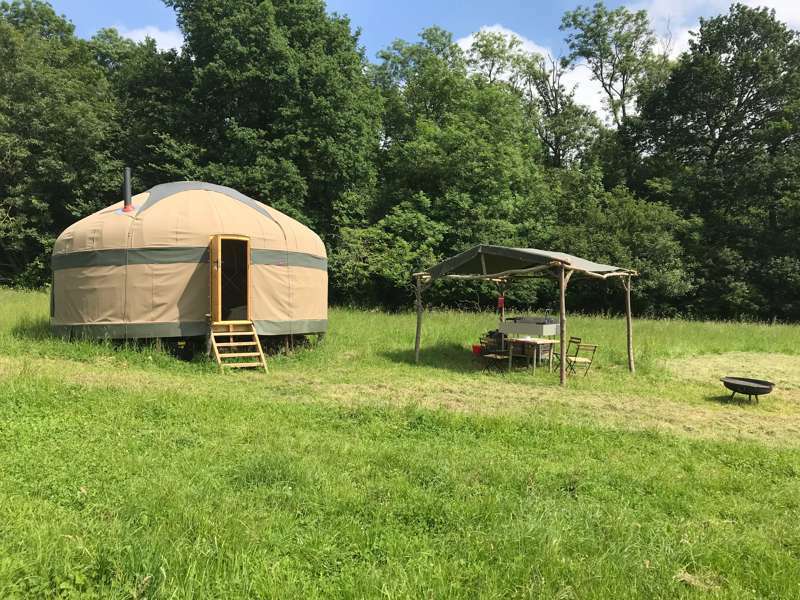 The brand new yurt is at the edge of a wood, with a great view. Everything you need for a relaxing stay is included, a fully equipped outdoor kitchen, linen, towels, a wood burning stove and a firepit. Beautifully restored, original, 19th-century shepherds hut in the peaceful Kent countryside, featuring an en-suite bathroom, a log burner, an outdoor fire pit and private paddock. (with views across the Kent Downs). 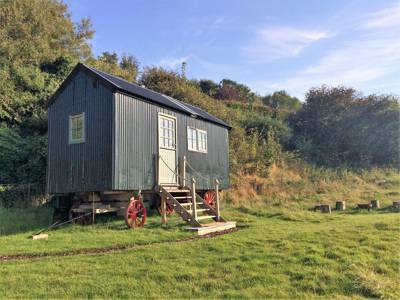 A beautifully restored, original, early-20th-century living wagon, once used by ploughmen travelling from farm to farm and now equipped with an en-suite shower room, toasty log burner and luxurious king-sized bed. Vintage living van with wooden wood fired hot tub available to hire! Set in it's own private space in our historic 'Nut Plat' This unit comes with its own kitchen with all utensils supplied. Local walks and cycle routes surround our site. Jump in a car and head to the Kent coast or Sussex coast. Set in it's own private space in our historic 'Nut Plat' This unit comes with its own kitchen with all utensils supplied. Local walks and cycle routes surround our site. Jump in a car and head to the Kent coast or Sussex coast. Kent is the UK’s gateway to Europe with cross Channel ferries and the Channel Tunnel both providing links to France. Avoid the temptation to whizz through en route to continental Europe and stay for a few nights’ glamping in Kent – you might just like what you find. 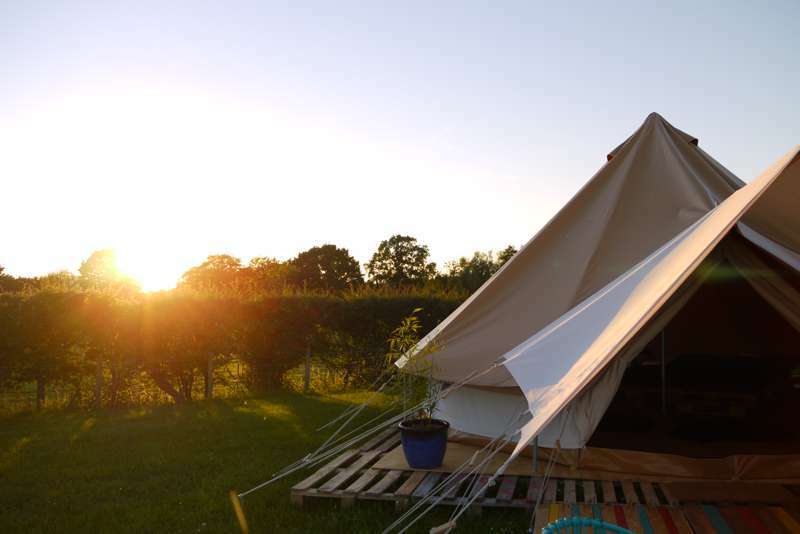 Here at Glampingly, we’ve done the hard work for you to find the best glamping sites in Kent and around the country and there are some real gems to choose from. The range of glamping accommodation out there is growing by the day. You’ll find everything from basic accommodation that offers the essence of a traditional camping holiday to luxury that’s akin to staying in a hotel. You can choose from sites where privacy and seclusion are the top priority to places which pride themselves on a sociable atmosphere, communal campfires and organised group activities. 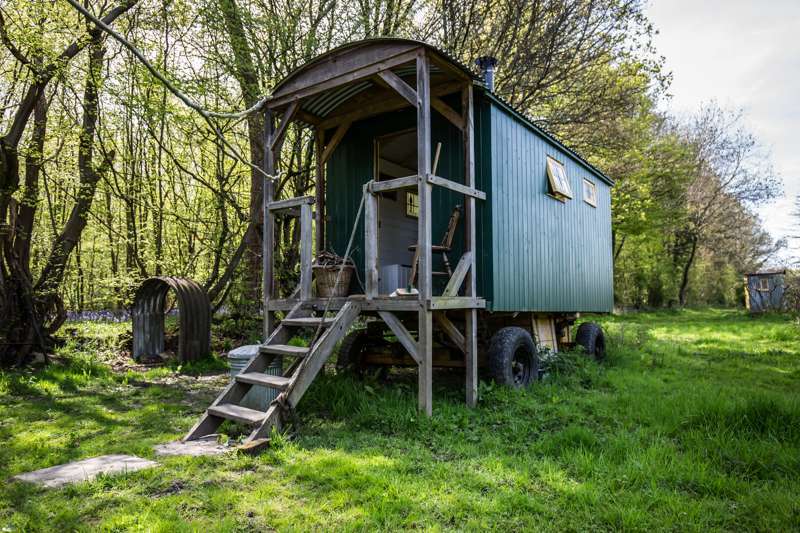 If your idea of glamping heaven is a romantic break for two, why not try a shepherd’s hut in Kent that’s parked up all by its lonesome? Or, if making friends is all part of the fun for you, pick a place where there are a few bell tents or yurts pitched together. Tipis, treehouses, gypsy caravans and wagons are all options on today’s glamping scene – there’s something to suit pretty much every whim and every budget too. You’ll need to consider what’s important to you on a holiday when choosing your glamping accommodation in Kent. If you want to give your kids the experience of toasting marshmallows on the fire, make sure the place you choose allows campfires before you commit. If you can’t bear the idea of slipping on the wellies to make a midnight run to the toilet, make sure you’ve chosen somewhere with an en suite bathroom. We’ve tried to make it easy for you to find our own dream glamping getaway on Glampingly with features like the “Refine Search” option which lets you filter out sites which don’t match your needs and the “Map View” which lets you see the spread of glamping sites in Kent and elsewhere. People have been heading to Kent on holidays since holidays were invented. Well-heeled Victorians and Edwardians headed to the seaside towns in their droves while generations of hard-up Londoners made the most of working holidays on the county’s farms. 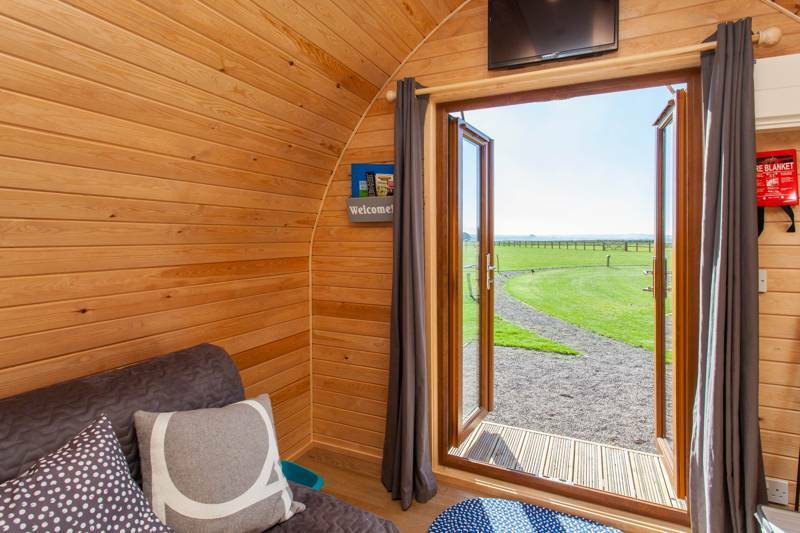 The coast and countryside continue to be the star attractions of glamping holidays in Kent too, though the urban areas have a fair few things to recommend them too – not least the UNESCO World Heritage listed Canterbury Cathedral and its surrounding city. But back to that coast and countryside. Both offer huge variety with the countryside ranging from the woodland, farmland and limestone ridges of the High Weald Area of Outstanding Natural Beauty on the western side of Kent to the rolling chalk downs which curve down through the county on the eastern side. Kent’s coast begins on the Thames estuary and takes in the very south-east corner of the country coming within 21 miles of France at Dover. There are, of course, chalk cliffs (those ones Vera Lynne sang about), sandy shores and pebbly beaches – including a huge shingle spit which is officially the UK’s only desert at Dungeness. Wherever you choose to stay, glamping in Kent will give you the chance to discover both coast and countryside. 1. Take a walk on the White Cliffs of Dover. The iconic white cliffs at Dover are worth a look and worth a walk. The cliff-top path offers fantastic views across the Channel to France (on a clear day) and there’s a fair bit of history to find out about too. 2. Visit a Kent castle. Depending on whereabouts in Kent you’re glamping, might dictate which one you visit but the county has a few to choose from Dover, Hever and Leeds – to name the highlights! 3. Walk on the Pilgrims Way. Yes – the one made famous by Geoffrey Chaucer in his Canterbury Tales. The Kent section of this ancient pilgrimage route is roughly aligned to the North Downs Way, a long-distance footpath that leads to Canterbury Cathedral and the tomb of Thomas Beckett. 4. Marvel at Canterbury Cathedral. You may not want to head into the city during a glamping getaway in Kent, but if you do Canterbury will not disappoint with historic buildings everywhere you turn and its enormous cathedral at the centre. The traditional way to arrive, of course, is on foot (see above). 5. Discover a Kentish orchard at Brogdale. Home to the National Fruit Collection, Brogdale has 4,000 varieties of fruit. It’s a great place to try a bit of produce from the Garden of England. 6. Grab a beer. Hops were once Kent’s main crop and the town of Faversham is home to Britain’s oldest brewery, Shepherd Neame. Nowadays there are plenty of new-generation craft brewers too so take your pick and have a beer in one of the county’s many pubs. 7. Talk to the animals. Choose from the farm-based Rare Breeds Centre at Woodchurch, where you can meet the animals or head to one of two wild animal parks run by conservation charity The Aspinall Foundation where there’ll be a safe distance between you and the lions, gorillas and rhinos. 8. Ride on the little trains of the Romney, Hythe and Dymchurch Light Railway. The railway runs 14 miles across the Romney Marsh countryside. Train fans of all ages will enjoy this quirky tourist attraction which has a genuinely fascinating history. 9. Go to the beach. With 350 miles of coastline, it would be a shame not to spend a day on the beach while in this part of the world. 10. Visit another country. 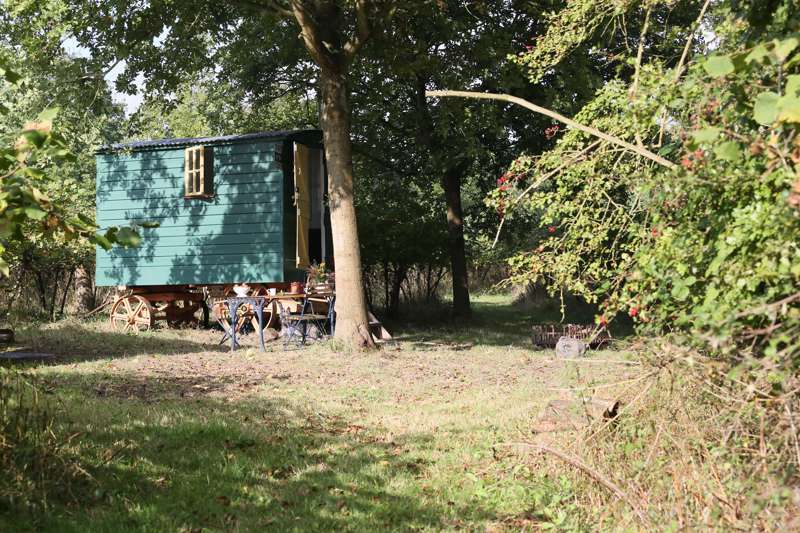 Glamping in Kent gives you the ideal opportunity to take a day trip to France. You can hop on the Eurostar to Paris or take the car on the ferry or Eurotunnel, enjoy a day out and be back in your bell tent by bedtime! 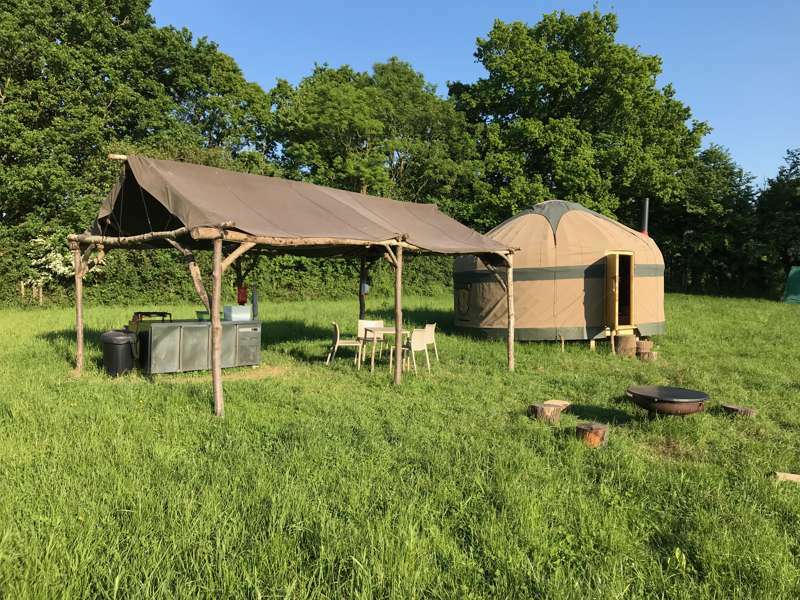 Glamping sites in Kent, Kent glampsites at Glamping in Kent, Glamping in Kent: Find the best glamping sites in Kent. Read reviews, browse image galleries and book your glamping holiday in Kent for the best price.